45 photos of Nos 3 ('Coppernob'), 20 and 25, plus Lake Windermere steamer Tern and the only surviving FR wagon. Barrow Haematite Steel Co No 17, Ulverston, 9 June 1973. This loco was built by Sharp, Stewart (1585 / 1865) as Furness Rly 0-4-0 No 25. The Furness sold it in 1873 to the steel company who had it converted to a saddle tank. 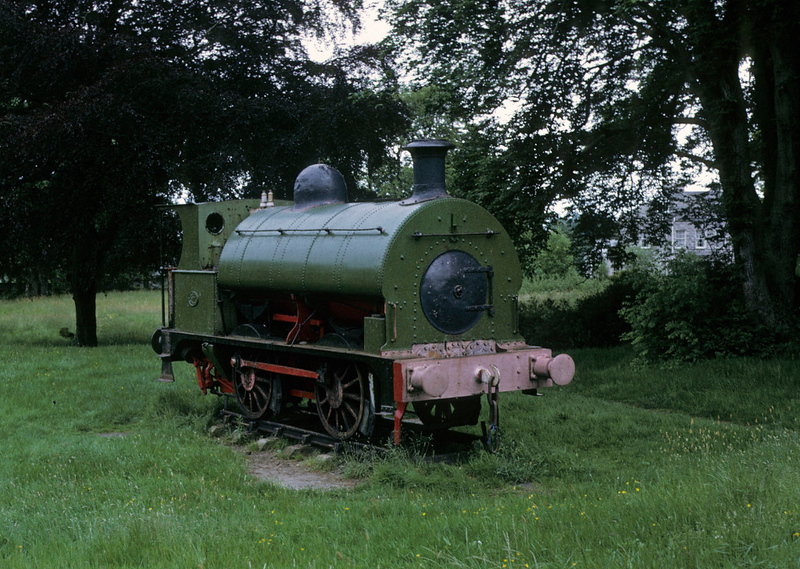 It worked until 1960, when it was donated to a special school at Ulverston, where it is seen in this photograph by Les Tindall. In 2018 it was donated to the Furness Railway Trust for restoration, still as a tank loco.